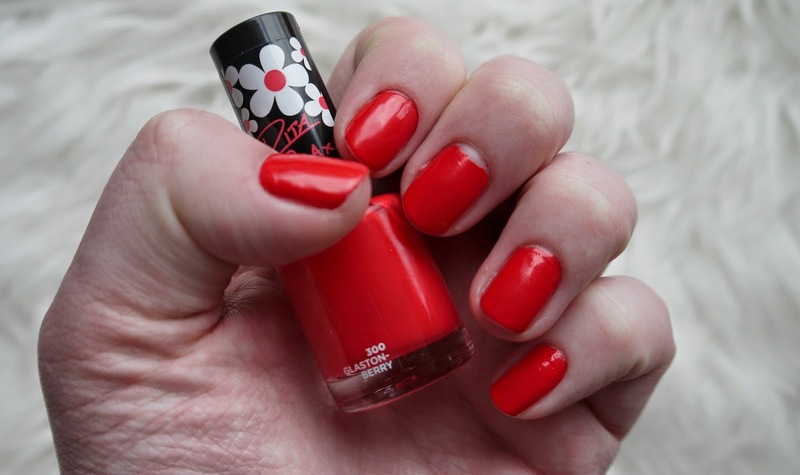 Hello lovelies, today I have for you another Rimmel nail polish but this one is far better than last weeks! I have wore this for over a week and the chips are so minimal without a top coat! The colour is absolutely gorgeous, for some reason it looks really red on these pictures but its more of a bright coral/red shade. They really are super shiny and that lasts through out the week, I am so impressed with these nail polishes and they are under £3! I am afraid next week will have to be another one of these because I love them so much, they have a gorgeous shade range and the lasting power is just perfect. If your a one coat kinda gal these will be your fix, they are quite opaque with just one swipe and they are super fast at drying but I like to add two coats just to be sure. I love the packaging of the new Rita Ora polishes too. They make my nails look pretty and healthy, also as they are only £2.99 I would pick up nearly all the shades as Boots currently have a 3 for 2 offer on, wait till you see next weeks gorgeous spring shade. Have you tried the new Rita Ora polishes Rimmel have to offer yet?